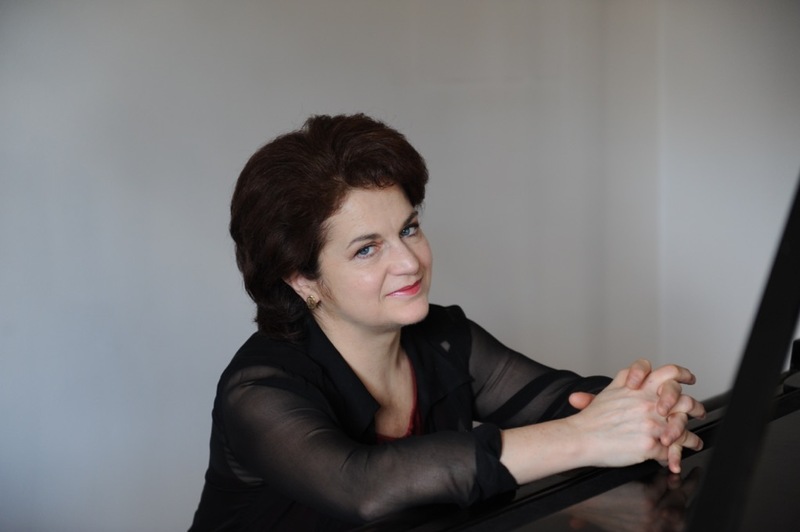 Stella Dimitrova-Maystorova – founder and long-time artistic director (until 2015) of the annual ppIANISSIMO International Festival of Contemporary Piano Music – is professor of piano at the “Prof. Pancho Vladigerov” National Academy of Music, Sofia. She has been awarded numerous prestigious awards from Bulgarian and international competitions. Prof. Dimitrova-Maystorova completed her higher musical education (Master’s degree) at the same Academy under Prof. Julia Ganeva and Prof. Konstantin Ganev. She perfected her skills in the “Béla Bartók” International Seminar under Pál Kadosa, Péter Solymos and Gyula Kiss in Hungary. In 1984–85, she specialized at the Royal Conservatory of Brussels under Prof. Jean-Claude van den Eynden. Her intensive concert activity has included repertoire from diverse genres and epochs, recitals and performances in many countries of Europe. She has performed as a soloist with all major Bulgarian orchestras, with the philharmonic orchestras of Bratislava (Slovakia) and Graz (Austria). She plays in various chamber formations and has collaborated with famous instrumentalists and singers. She has performed under the baton of Bulgarian conductors Кonstantin Iliev, Dobrin Petkov, Vassil Kazandjiev, Georgi Dimitrov, Emil Tabakov, Plamen Djouroff, Georgi Notev, Jordan Daffov, Alexey Izmirliev and international conductors such as Charles Bruck (France), Nikos Athineos (Greece), Uri Mayer (Canada), Václav Smetáček (Czech Republic), Tomasz Bugaj (Poland), Ion Baciu (Romania), Braxton Blake (USA), Thomas Kalb (Germany). She has performed at all music festivals in Bulgaria, as well as at the Interpodium Festival in Bratislava (Slovakia), The Festival for Contemporary Art in Witten (Germany) and Europa Musicale Festival in Munich (Germany). She has recorded for the Bulgarian National Radio, as well as for the radios of Rome, Bremen, Cologne, Frankfurt, Bucharest and Brussels. She has premiered more than 200 works of leading 20th century composers in Bulgaria (Sergei Prokofiev’s Concerto No. 5; Arnold Schönberg’s Pierrot Lunaire; Pierre Boulez’ Sonate No. 3, Luciano Berio’s Concerto for Two Pianos and Orchestra (with Dimo Dimov); Igor Stravinsky’s Wedding; Bohuslav Martinů’s Double Concerto for Two String Orchestras, Piano and Timpani; Béla Bartók’s Concerto No. 3 and Sonata 1926; works by André Boucourechliev, Paul Hindemith, Arthur Honegger, Benjamin Britten, Alban Berg, John Cage, Anton Webern, Alfred Schnittke, Hans Werner Henze, Edison Denisov, Rodion Shchedrin, Frank Martin, Luigi Dallapicola, etc.). 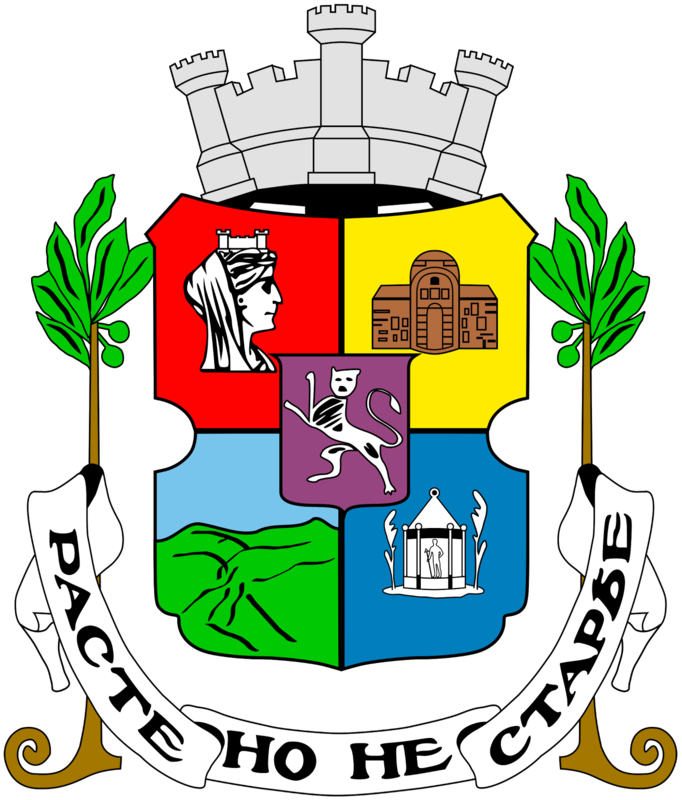 Dimitrova-Maystorova has premiered numerous works by Bulgarian composers (Кonstantin Iliev, Lazar Nikolov, Simeon Pironkov, Vassil Kazandjiev, Georgi Mintchev, Ivan Spassov, Julia Tsenova, Ivelin Dimitrov, Tzvetan Tzvetanov, Ljubomir Denev, Gheorghi Arnaoudov, Roussi Tarmakov, Bojidar Dimov, Bentzion Eliezer, Stefan Ikonomov, Krassimir Taskov, Emil Mirtchev and Milen Panayotov), many of which have been written especially for her. Prof. Dimitrova-Maystorova is a leading professor at the “Prof. Pancho Vladigerov” National Academy of Music in Sofia. Her students have won numerous prizes (more than 130), including first prizes, at Bulgarian and international competitions in Italy, Japan, the Netherlands, Germany, Switzerland, Romania, France, Greece and the USA. She has taken part as member of jury in national and international piano competitions in Bulgaria, Greece and Italy. She has been awarded the Golden Staff distinction of the Union of Bulgarian Composers (2005); the Crystal Lyre Award of the Union of Bulgarian Music and Dance Figures, ClassicFM Radio and the Ministry of Culture (2006); the Golden Lyre Award of the Union of Bulgarian Music and Dance Figures (2007) and the Crystal Sign Award of the Union of Bulgarian Composers (2007). Lilia Boyadjieva's playing has won widespread acclaim: “Powerful and delicate, masterful and idiomatic”; “Lyrical, mercurial reading as well as a strong one”; “Power of expression allied to extreme emotional tension”. Audiences at every performance are invariably enthralled, surprised, sometimes disturbed but never indifferent. With unwavering conviction, she has interpreted works from the full spectrum of the established repertoire – from Bach, for whose music she entertains a very deep admiration and appreciation, to the 20th century music, for which she feels a special affinity, working exhaustively on Samuel Barber and Shostakovich as well as on most Bulgarian and Greek composers, through the standard classical, romantic and post-romantic works. Her recording of Barber’s complete piano works has been praised by Fanfare Magazine as “probably the most valuable CD solely devoted to Barber’s keyboard music”. Her interpretation of the Barber’s Sonata is “one of the finest readings on record”. Born and educated in Sofia, she was a student of Prof. Julia Ganeva and Prof. Konstantin Ganev and later completed her studies at the Moscow Conservatory with Prof. Theodor Gutman. Her awards at international piano competitions include prizes at the Senigalia Competition (Italy, 1979), the “Vianna da Motta” Competition (Portugal, 1983), the “Maria Callas” Competition (Greece, 1985) and many others. Invited by prestigious festivals (in Montpellier, Dublin, Moscow, Auvers-sur-Oise, Sofia, Athens), she performs in recitals as a soloist, with orchestras and in chamber music ensembles. Radio and television organisations often broadcast her concerts. Appreciated for her teaching abilities, she has taught at the Sofia Musical Academy, in Athens and in Paris. She has given numerous master classes in Russia, France, Greece, Norway and the USA. The American label ARTEK Recordings has published her CD Around the Fugue – a polyphonic journey from Bach until today, as well as CD with works by Shostakovich. She is also the organiser of the International Piano and Composition Competition From Bach to Jazz (De Bach au jazz). Kamelia Miladinova (b. 1972) was born in Kyustendil (Bulgaria) and had her first piano lessons at the age of six. She studied at the “Lyubomir Pipkov” National School of Music and at the “Prof. Pancho Vladigerov” National Academy of Music in Sofia with Prof. Stella Dimitrova-Maystorova. As a student, she was awarded the Debut Prize of the Bulgarian National Radio and in 1994 she won the Third Prize at the “Eduard Flipse” Piano Competition in the Netherlands, as well as the prize for the best performance of contemporary Dutch music for the piece Spank by Rob Zuidam. Miladinova has lived in the Netherlands since 1997. She studied at the Royal Conservatory in The Hague with Geoffrey Douglas Madge and she got her Master Degrees for Solo Piano and Piano Coaching there, a study that was focused in particular on working with singers and instrumentalists. She has worked together with and has been coached by musicians such as Geörgy Kurtág, Herman Krebbers, Elly Ameling, Bart van Oort and, more recently, Sir James Galway. Since 2003, she has been working as a piano coach and accompanist at the Royal Conservatory in The Hague. Besides, she regularly plays in concerts as an accompanist and as a member of chamber music ensembles. In 2015 and 2016, she was a resident Pianist-in-Residence at the Galway Flute Festival in Weggis, Switzerland. Ivan Pavlov (b. 1989) graduated from the “Lyubomir Pipkov” National School of Music (Sofia) in the piano class of Stefka Matanova and from the “Prof. Pancho Vladigerov” National Academy of Music (Sofia) in the piano class of Prof. Stella Dimitrova-Maystorova and Assoc. 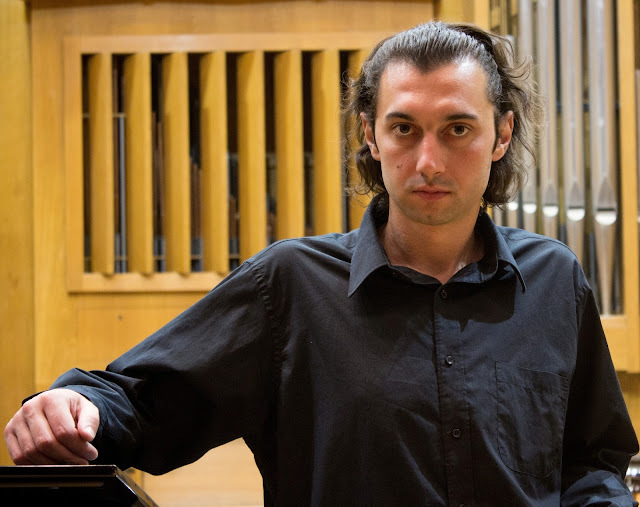 Prof. Iliya Chernaev, PhD, as well with distinction from the Royal Conservatory in The Hague, where he is currently taking further studies with Ellen Corver. 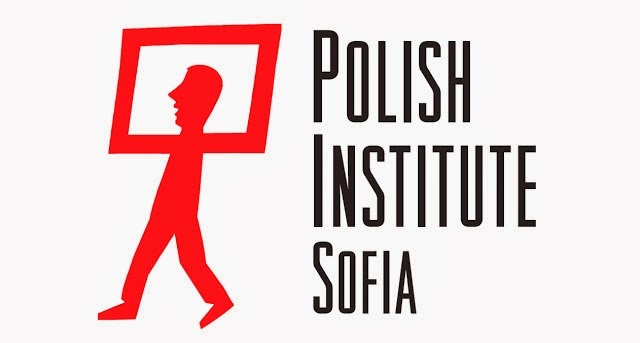 He attended the master classes of David Kuijken, Dmitri Bashkirov, Jan Panis, Paul Badura-Skoda, Angela Tosheva, PhD, etc. As a soloist, Pavlov has worked with the Sofia Philharmonic and the Residence Orchestra (the Hague Philharmonic). In December 2015, he performed the Double Concerto by Hans Abrahamsen with the violinist Peter van Loenen and the conductor Clark Rundell. His debut at the Theater aan het Spui Aan was with Satyagrata by Philip Glass, conducted by Rick Schoonbeek in February 2017. Due to his interest in contemporary music, he is involved and closely working with many composers. Recent collaboration with James Alexandropoulos resulted in a composition dedicated to Ivan Pavlov. The world premiere was in Studio Loos (2016). The piece was most recently performed during the Days of the Open Doors of the Royal Conservatory (2017). Ivan has worked closely with Young Masters Foundation, which has organised solo concerts for him around the Netherlands – in The Hague, Amsterdam, Den Bosch and others. 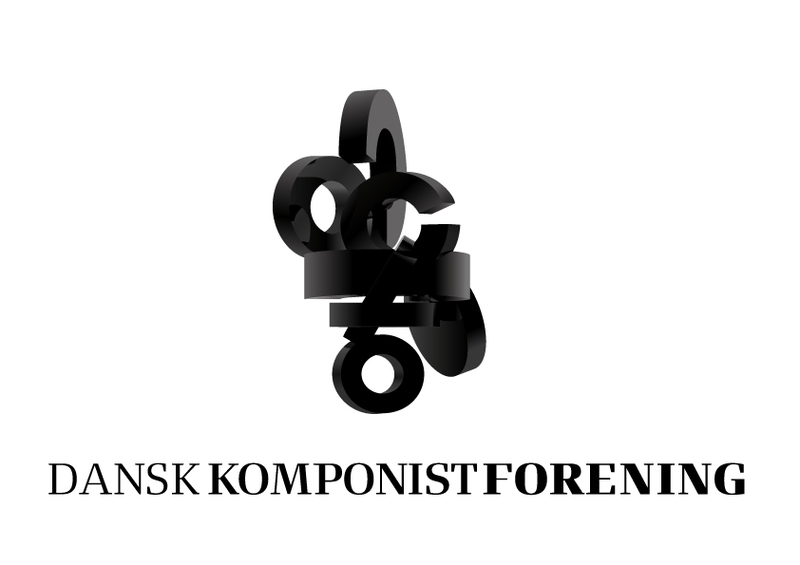 He participated in the symposium and festival Historically Informed Performance of Electroacoustic Music, together with Ellen Corver and Jan Panis, where he performed part of Karlheinz Stochausen’s Mantra. Most recently, he performed in the Pianola Museum in Amsterdam (2016) and in the Bulgarian Orthodox Church in The Hague. Dariya Yovcheva was bornin Varna in 1989. She graduated from the “Dobri Hristov” National School of Arts (Varna), where she studied in the piano class of Stanislava Stavreva. In 2013, she earned her Master’s degree from the “Prof. 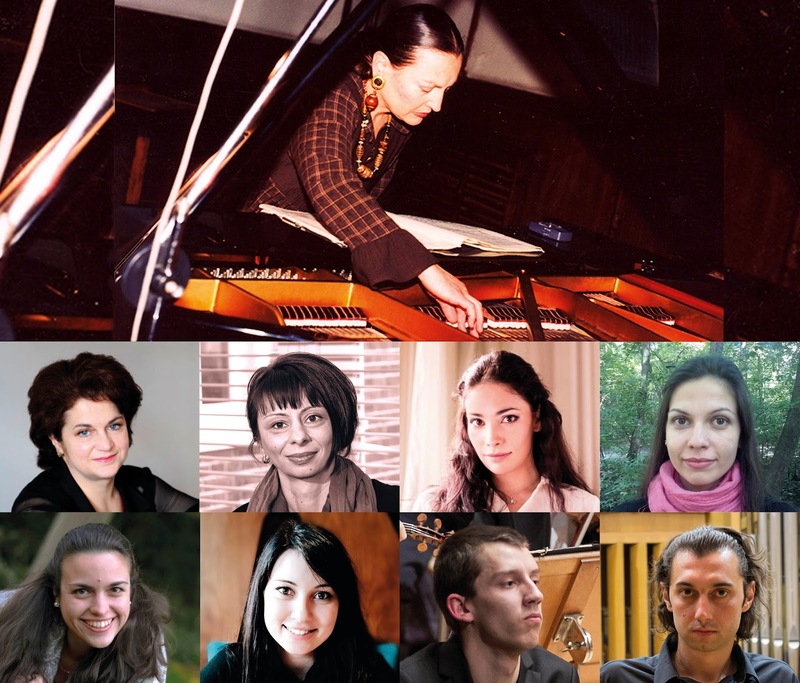 Pancho Vladigerov” National Academy of Music (Sofia) under Prof. Stella Dimitrova-Maystorova and Assoc. Prof. Iliya Chernaev. Since 2014, she is a PhDs at the National Academy of Music. She has participated in the master classes of Tamara Poddubnaya (Russia/USA), Georg Friedrich Schenck (Germany), Johannes Kropfitsch (Austria) and the piano duo “Teresa Trevisan / Flavio Zaccaria” (Italy). In 2015, she was an active participant at the chamber music master class of the International Summer Academy ISA15 in Reichenau (Austria). She has been awarded a scholarship by the Bulgarian Ministry of Culture, as well as numerous prizes in national and international competitions, such as Music and Earth International Competition (second prize in Chamber Music Section, Sofia, 2011), Academic Competition for Solo Piano (special award for Best Performance of a Piece by Ferenc Liszt, Sofia, 2011), Third International Competition for Austrian Chamber Music (second prize, Sofia, 2012), Academic Competition for Chamber Music (second prize, Sofia, 2014). Dariya Yovcheva has performed as a soloist with the philharmonic orchestras of Sofia, Varna, Shumen and Pazardzhik, the Varna Symphonietta, the Chamber Orchestra of Varna, as well as with both the Academic and the Students’ Symphony Orchestras of the “Prof. Pancho Vladigerov” National Academy of Music. She has performed under the baton of Bulgarian conductors Vassil Kazandjiev, Grigor Palikarov, Martin Panteleev, etc. She participated in some of the most prestigious festivals in Bulgaria – the Sofia Music Weeks, the European Music Festival in Varna, Via Pontica – International Youth Arts Festival in Balchik and in the ppIANISSIMO International Festival of Contemporary Piano Music. 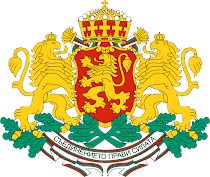 She has recorded for Bulgarian National Television and Bulgarian National Radio. Alexandra Radoulova (b. 1989) graduated from “Prof. Pancho Vladigerov” National Academy of Music in Sofia in the piano class of Prof. Stella Dimitrova-Maystorova. Her interests in new music started already in her youth and she continued working intensively in this direction during her university studies in Sofia. After her graduation, she moved to Vienna, where she studied free improvisation and interpretation with Manon-Liu Winter. In 2014, she won the award for best interpretation of a contemporary music piece of the International Summer Academy organised by the University of Music and Performing Arts in Vienna. The same year, she started studying Performance Practice in Contemporary Music – a Master degree programme at the University of Music and Preforming Arts in Graz, where she specialised in the areas of chamber music and ensemble practice. There, she worked with composers like Tristan Murail, Beat Furrer, Ian Robin, Francesco Filidei, Bernhard Gander, Bernhard Lang, Klaus Lang and others. 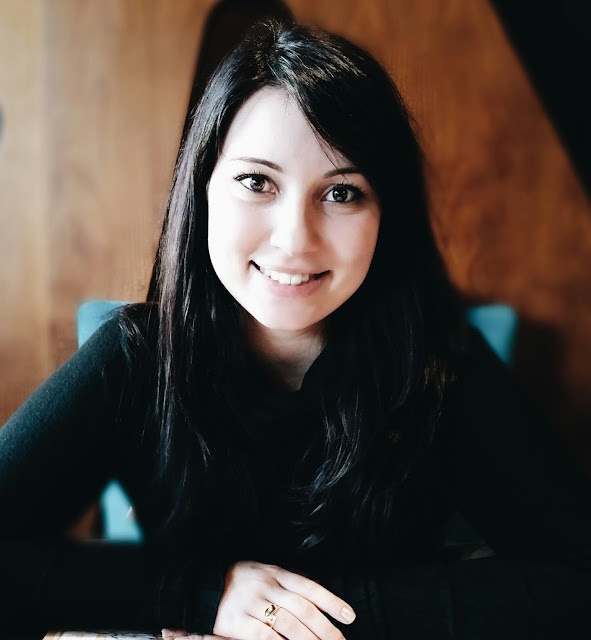 She plays occasionally with ensemble Klangforum Wien and from 2016 started working as a pianist in the study programme of the ensemble, where she also works as an organisation assistant. In Graz, she continued her free improvising studies together with Elisabeth Harnik and Annette Giesriegel. Since 2016, she is a member of STIO – the Styrian Improvisers Orchestra. She is also interested in promoting new music and free improvisation. She worked as an assistant in the workshops Interface (2014, 2015 and 2016), in the andrä musik: Kunstvermittlung (2016) – a project of Klangforum Wien for children and adolescents from different ethnic origins, as well for the workshops of the festival Collective Thoughts (2015). In 2016 together with her colleagues, she realised a project of her own – Klang_Stadl 2016 – a music workshop for amateur musicians, that won state sponsoring for further editions. Nadejda Tsanova has graduated from the “Prof. Pancho Vladigerov” National Academy of Music (Sofia) in the piano class of Prof. Stella Dimitrova-Maystorova and Assoc. Prof. Iliya Chernaev, PhD. She continued her education with two specialisations in the Royal Conservatory in Brussels and the Paris Conservatory. She holds more than 20 awards and prizes from Bulgarian and international competitions, including: “Franz Schubert” (Ruse), German and Austrian Music (Burgas), Classics and Modernity (Stara Zagora), Young Virtuosos (Sofia), Music and Earth (Sofia), Hopes, Talents, Masters (Dobrich – Albena), “Seiler” (Sofia and Rhodes), “Valentino Bucchi” (Rome) and “Sergey Prokofiev” (Donetsk). In 2014 – 2016, she won also first prize at Flame International Competition in Paris, second prize at the International Piano Competition in Treviso (Italy) and third prize at the Mayenne Competition in France. She has been awarded the scholarship Gallery of Bulgarian Talents and those of the Solty Foundation (Belgium). She has participated in the festivals ppIANISSIMO (Sofia), Apollonia (Sozopol), Austrian Music Weeks (Sofia) and ClaviCologne (Germany). She has made concerts in Italy, France, Germany, Poland, Ukraine, Hungary, Austria, the Czech Republic, Slovakia, Belgium, Spain, Portugal, Japan, China and the USA. She has had performances under the baton of Dimitar Karaminkov, Mancho Dosev, Grigor Palikarov, Angel Stankov, Krastin Nastev, Georgi Patrikov, Ivaylo Krinchev, Maxim Eshkenazi, Oliver Gilmour (UK), Martin Klepetko (the Czech Republic), Mitsuoshi Yokava (Japan) and Mark Kadin (Russia). In 2014 – 2016, she had three very successful tours in Japan and China. Nadejda Tsanova has performed for TV programmes and recorded for the Bulgarian National Radio. Margarita Ilieva graduated from the “Lyubomir Pipkov” National School of Music (Sofia) in the piano class of Emilia Kaneva. From 2005 to 2010, she was student at the “Prof. Pancho Vladigerov” National Academy of Music under Prof. Stella Dimitrova-Maistorova and Assoc. Prof. Iliya Chernaev. She has participated in a number of master classes given by Waldemar Wojtal, Alexander Strukov, Viktor Chuchkov, Angela Tosheva, Tamara Poddubnaya, Menno van Delft, Einar Steen-Nøkleberg, Altenberg Trio etc. 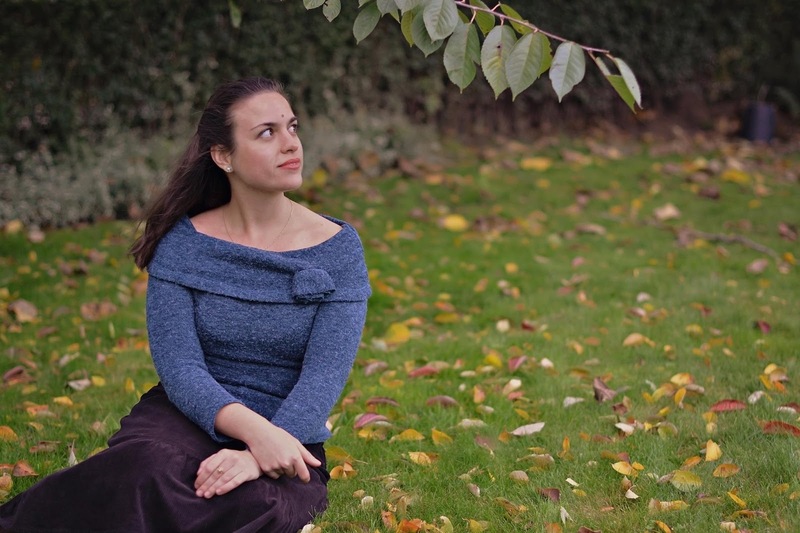 Margarita Ilieva has a Ph.D. in Chamber Music. 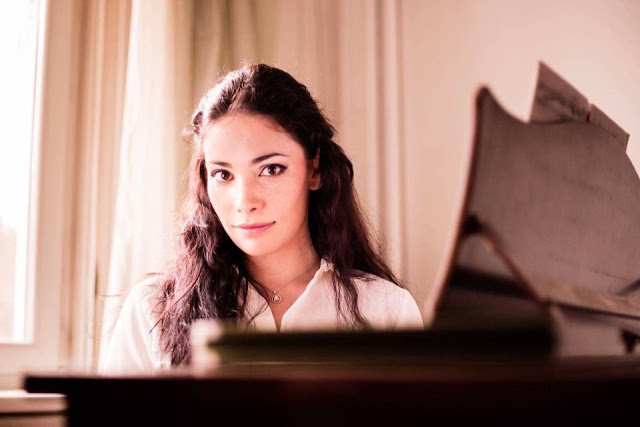 She has been awarded with numerous prizes at international competitions including Young Music Talents (Chamber Music category, first prize), “Albert Roussel” (first prize), “Liszt – Bartok” (first prize) and others. Margarita Ilieva has given many concerts in Bulgaria, Austria, France, Germany, Switzerland and USA, as well as frequently participated in Bulgarian festivals – among others at ppIANISSIMO, Sofia Music Week, Varna Summer, Apolonia and New Bulgarian Music. She has participated in various chamber ensembles including the Musica Nova Ensemble for Contemporary Music with director and conductor Dragomir Yossifov. She has performed as a soloist with the Sofia Philharmonic Orchestra, the Symphony Orchestra of the Bulgarian National Radio, Sofia Soloists Chamber Ensemble, Shumen Philharmonic Orchestra, Gabrovo Chamber Orchestra and the Academic Symphony Orchestra. She has recorded for WDR (Köln), Bulgarian National Radio and Bulgarian National Television. She's the recepient of the Crystal Lyre award in the Young Musician category for 2016. Since 2016, she is assistant professor at the Piano Department of the Theory, Composition and Conducting Faculty of the “Prof. Pancho Vladigerov” National Academy of Music. Her repertoire includes works of different styles and periods. She has made Bulgarian and world premieres of solo and chamber works by many composers. Rumen Traikov was born in 1985 in Pleven, Bulgaria. He graduated with honours from the “Panayot Pipkov” National School of Music (Pleven) in the piano class of Mariana Nacheva. He earned his Master's degree from the “Prof. 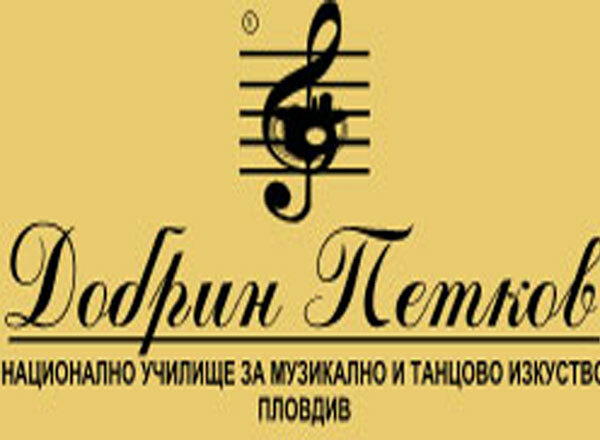 Pancho Vladigerov” National Academy of Music (Sofia) under Prof. Stella Dimitrova-Maystorova. Since 2013, he has been a PhD candidate at the “Prof. Pancho Vladigerov” National Academy of Music. 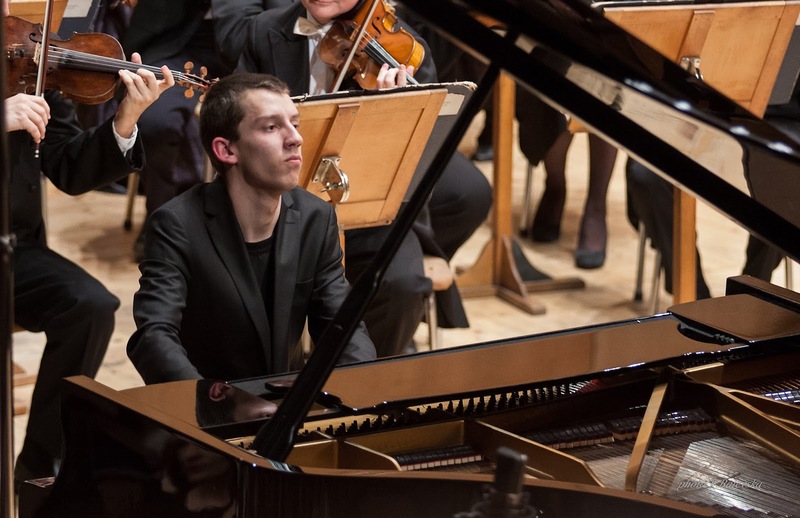 He has participated in prestigious international festivals such as Holland Music Sessions in Bergen (the Netherlands), Vienna International Summer Academy (as part of a piano quartet), Apolonia International Festival of Music and Arts (Sozopol), ppIANISSIMO International Festival of Contemporary Piano Music (Sofia). He has participated in the master classes of Ralf Gothóny, Milan Rados, Bozhidar Noev, Yuri Boukoff, Avedis Kouyoumdjian, Jan Marisse Huizing and Samuel Ashkenazy. He has been awarded two third prizes from the “Svetoslav Obretenov” National Piano Competition (Provadia, 1994 and 1998), second prize from the “Vesselin Stoyanov” National Piano Competition (Sofia, 2001), second prize from the Young Music Virtuosos International Competition (Sofia, 2003), first prize and “Todoroff” scholarship from the Academy Piano Competition (Sofia, 2004), first prize from the National Competition for Russian Music, dedicated to Sergei Prokofiev (Pleven, 2004), second prize from the “Franz Schubert” International Competition (Rousse, 2005), third prize (for piano and violin duo) from the Academy Competition for Chamber Music, dedicated to Wolfgang Amadeus Mozart (Sofia, 2007), first prize from the “Albert Roussel” International Piano Competition (Sofia, 2012). Rumen Traykov has performed as a soloist with Philharmonic Orchestras in Shumen, Pleven, Sofia and Plovdiv, the Academic Symphony Orchestra of the National Academy of Music (Sofia), New Symphony Orchestra and Sofia Soloists Chamber Orchestra.